Imagine, a lecture hall of 300 Harvard students. The professor, standing in the center, asks for the class to vote on a philosophical question. When she gives the first option, 299 hands go up. When she offers the second, only one arm raises. The lone hand belongs to Rahsaan King. King is an outlier, even at Harvard. When not attending classes, he's the CEO of Students of Strength - an online tutoring, college prep, and curriculum design company based in Houston, Texas. By the end of 2016, King and SOS will have helped 150,000 + students prepare for college, study for exams, and master difficult subjects. Now King is embarking on another gargantuan quest. Within the next six months, Students of Strength (SOS) plans to hire over 10,000 new employees, mostly college students, as tutors and admin. This goal marks the largest campus recruitment campaign ever. King plans to hire tutors to meet the demand for their new app. In early March, the company will release an iPhone and Android app called "Students of Strength." . The app will provide 24/7 tutor access for students for any amount of time. Students of Strength is a for-profit company. But, if you speak to King, it's clear that his motivation is changing lives, not making money. As he puts it, "We want our company to be so philanthropic that we'll defacto exist as one of the largest non-profits in the world. "Akin to TOMs Shoes, for every student who purchases an hour of tutoring in 2016, the Students of Strength pledges to give free subscriptions to low-income students who can't afford the costs. King feels that his past predisposes him to philanthropy, and he wears his journey with pride. King grew up in northeast Houston in a neighborhood ridden with gang influence and criminality. By the time he was 12, he'd seen more violence than most people will in a lifetime. As he put it when we spoke, "I had friends who killed, sold drugs, and went to prison for all types of crimes. My most painful moments include seeing my best friends murdered before we finished middle school." Luckily, King was spared - he did well in school and had, as he put it, a "strong sense of character" and valuable mentors. In several strokes of serendipity he was taken in by upper echelon business and political leaders that he now considers family. He credit them with exposing him to new dreams, and giving him confidence to chase them. King hopes to pay this gift forward via SOS. "Exposure expands expectations." It's King's most cherished principle. He's built this principle into the DNA of Students of Strength. 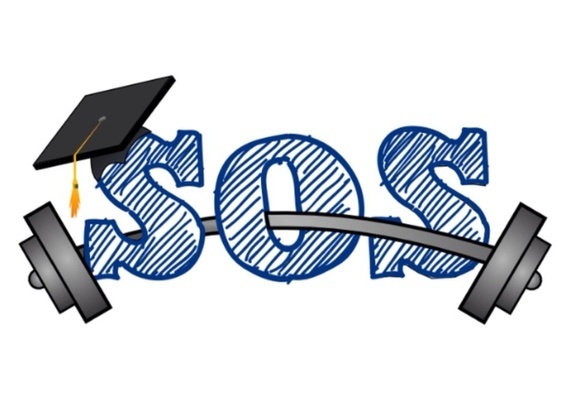 SOS exposes high school students to the possibility of a top-tier education. All of SOS tutors come from top-tier schools like Harvard, MIT, West Point, and Stanford. When students speak with their tutor, they receive personalized advice, keen mentorship, and perspective of distant possibility. For King, higher expectations are the root of success. As a junior, King noticed the sharp contrast between his old and new life. Chiefly the varied access to reliable education. "The caliber of education my friends and I were getting (at private school) was so much better than my friends back home." Frustrated, he went to the drawing board. When King was accepted to Harvard, he was thrown onto a Facebook page with 700+ Harvard admits, King had an idea. He'd wanted to connect high school students with successful college peers. In the months before, King had begun a small peer-to-peer tutoring platform he'd called "Secret Service". When King found out he'd been accepted to Harvard, however, he knew this was his chance to grow. In April of 2013, King traveled alone to Harvard to recruit tutors. For a week, he stood outside dorms passing out flyers. When he returned to Houston, his dozens of hours paid off. His email was filled with hundreds of Harvard students requesting to join. He raised venture capital, sought legal advice, opened an office and established the brand now known as SOS. For the past four years, King has continued to grow Students of Strength. In lieu of sophomore year he took 2 years to further develop the company and cement his corporate foundation. Now he's back at Harvard, a full-time student, musician, and CEO. When King talks about the 10,000 tutor challenge, he sounds more like a missionary than a Harvard- entrepreneur. In his mind, college students who work for him have the opportunity to not just make good money, but also to create a better future for the students they help and participate in leveling the playing field for students who for so long have been left out. King wants college students to step up, but he recognizes, like speaking in lecture, tutoring is a risk. You might not love it at first. You might not even know how to teach. But he reminds us that with time, you will improve. King and SOS has formally launched the "10,000 tutor challenge". Will you raise your hand?